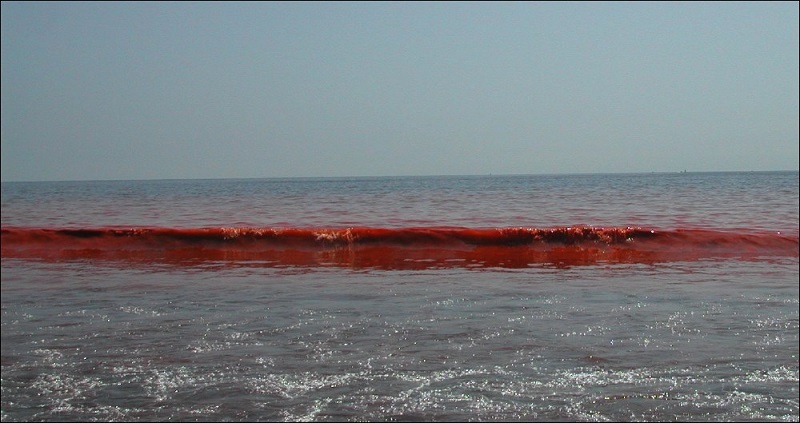 Red tides, which often contain harmful algal blooms , are caused by chemical reactions that occur between algae and other substances. Red by day, blue by night, this colorful ocean phenomenon is a relatively rare natural occurrence that has spawned a number of imitations in movies and literature, the most recent example being a rather striking scene in the visually-driven movie Life of Pi. Although naturally occurring, red algae blooms can be hazardous to swimmers, animals and marine life. Depending on the algae species, the red tide can contain high levels of ammonia that cause rashes and eye irritation. Poisonous algal blooms rob organisms of sunlight and oxygen, and may emit poisonous toxins. Bio-luminescent algae blooms (like the ever-popular dinoflagellate marine algae called Sea Sparkle) are most frequently observed away from shorelines. Though beautiful in the dead of night, during the day these blooming phytoplankton are less than stunning. They often turn ocean water red and murky, and emit a distasteful smell of decay that comes from the algae starving the water of oxygen. 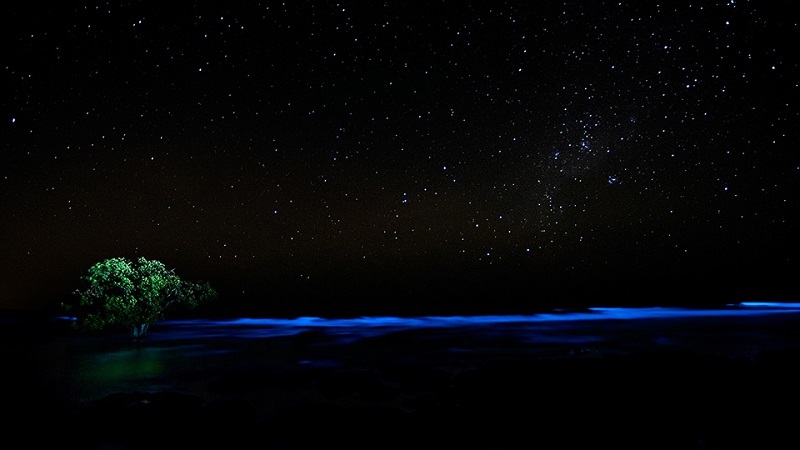 Visible only in the dead of night, phytoplankton emit a soft bluish glow when disturbed, due to a specific chemical reaction that takes place between the algae and surrounding oxygen. 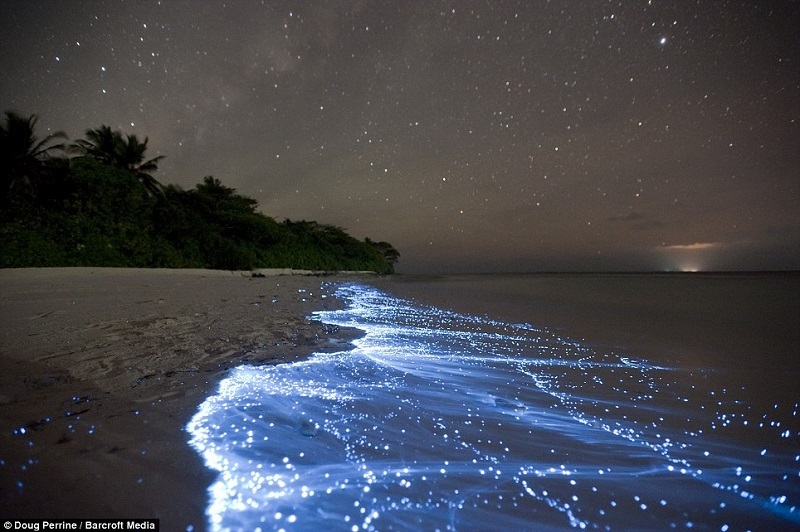 Similar to the glow of a lightning bug, the algae glow can be seen within crashing waves, following boat movements and other disturbances in the water.